Extended University Programs (EUP) extends Western Michigan University’s educational resources throughout Michigan and beyond by partnering with academic departments to deliver undergraduate and graduate degrees, certificate programs and non-credit conferences and workshops. EUP delivers these programs are delivered in a time, place, and format that address the needs of the contemporary learner. EUP is comprised of regional locations in Battle Creek, Grand Rapids, Lansing, MetroDetroit, Muskegon, Southwest (Benton Harbor), and Traverse City, Michigan as well as Punta Gorda, Florida. Additionally, EUP delivers Online Education, the university studies bachelor’s degree, Professional Development, and the Osher Lifelong Learning Institute at WMU. To extend the mission, brand, and reach of WMU beyond Kalamazoo, through innovation, access and outreach. Leading innovation through branding, community engagement, and the delivery of responsive contemporary programming, EUP seeks to identify, develop, and provide access to learner-centered pathways for diverse populations. Each WMU regional location provides students and communities with educational opportunities in a location and format that provides flexibility and convenience. On-site staff members serve as a resource to assist students as they work toward their professional and educational goals. Regional locations are equipped with comfortable seating, computer labs, wireless internet access, and courses scheduled weekdays, evenings and weekends. 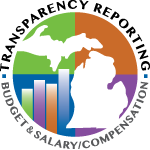 In addition to academic programming, regional locations provide connections to WMU offices including financial aid, advising, University libraries, and other University services. WMU-Auburn Hills is located within Cooley Law School’s Auburn Hills facility, surrounded by a blend of nature and commerce on all sides. Modern classrooms outfitted with current instructional technology provide students with a more robust experience and the building’s study rooms offer students access to secluded areas to study and collaborate. WMU’s office is open Monday to Friday from 8a.m. until 5p.m. Admissions or Human Resource office paperwork can also be verified and submitted at the front desk as an alternative to traveling to main campus. Parking in two large lots is always free and students can reach the campus by riding SMART Bus Routes 465 or 756. The security and safety of our guests is always a top concern. Parking lots and campus grounds are maintained daily and a facility guard is posted at the building entrance during all open hours. This completely renovated 24,000 square foot facility houses 12 beautifully furnished classrooms, two computer labs, advising offices, an executive conference room and a state-of-the-art interactive compressed video conference room, as well as satellite downlink connections. The Kendall Center is completely wireless, allowing web access from anywhere in the building. Free three-hour parking is available in a parking deck on the east side of the building. For day-long events, parking in the deck next to the Kellogg Arena, across the street to the south of the building is encouraged. WMU-Clinton Township is proud to be a part of the Macomb Community College University (MCC) Center located on the center campus of MCC. As a partner with the University Center, WMU-Clinton Township not only builds a bridge for MCC students but also offers Macomb county and the surrounding area residents the convenience and flexibility to earn a WMU degree close to home. The MCC University Center offers students access to a computer lab, quiet and large study lounge spaces as well as convenient hours of operation (until 10 p.m. most evenings and some weekends). Students also have access to the MCC library and other MCC resources if needed. Parking is free and plentiful at the MCC University Center and MCC has their own college police department to keep the campus safe. The Grand Rapids, Beltline location is a beautiful campus that offers a multitude of services for both the contemporary student and conference planner, in a comfortable and professional conferencing environment. The facility features numerous classrooms and computer labs, satellite downlink connections, and a state-of-the-art interactive, compressed video conference room. There are more than 550 spaces available in the free parking lot at the WMU-Grand Rapids, Beltline location. The Grand Rapids, Downtown location is in the Heartside district, two blocks south of the Van Andel Arena. This exceptional facility features a cybercafé, a multifunctional Grand Hall, classrooms, a computer lab, a compressed video/distance education classroom, and offices for faculty, advisors, and administrative staff. The Center for Counseling and Psychological Services, a community based counseling clinic, and the AMP Lab @WMU, as Advanced Manufacturing Partnership Laboratory, are also at the Downtown location. Paid parking is available in the Cherry/Commerce parking ramp, located across from WMU-Grand Rapids, Downtown on Cherry Street in addition to on-street metered parking. A City-owned surface lot on Ionia Avenue between Oakes and Cherry Streets Area 5 Lot is not available for daytime hourly parking but parking is available after 6 p.m. Located in the WMU Cooley Law School, Lansing facility, WMU-Lansing features a welcoming environment as well as a dedicated staff that is committed to making your experience a positive one. The library and Center for Research and Study are available for student use during regular WMU Cooley hours (as late as midnight Monday through Thursday and 10 p.m. on weekends). Students and visitors can park in the public parking ramp (South Ramp) or on the streets surrounding the building for a fee. All city street parking is free after 6 p.m.
WMU-Muskegon is located at the Stevenson Center for Higher Education on the Muskegon Community College campus. The facility provides numerous amenities to make your life easier, including computer access for self-registration, payment, record access, email, research, and online library services. Students also have access to additional computer labs located in the Hendrik Meijer Library/Information Technology Center, and the library is open Monday through Thursday until 9 p.m., plus limited hours on Fridays and Saturdays. Free parking is available at MCC. WMU-Southwest is on the Lake Michigan College Benton Harbor campus. Students have access to WMU computer services, and online University library services in addition to use of the LMC library and other key resources. Students can also utilize the child care services offered at Lake Michigan College on a fee-for-services basis. WMU-Traverse City is located in the NMC University Center, a leading-edge facility with interactive classrooms and computer labs, and open wireless access is available throughout the center. Student lounges, snack areas, and a student café provide an environment conducive to studying, research, and collaboration. The University Center is open Monday through Friday from 9 a.m. to 8 p.m. and Saturday from 8 a.m. to 4 p.m. The Punta Gorda location operates on the campus of Florida SouthWestern State College in Charlotte County. The campus sits on a 204-acre site that consists of 12 buildings and 151,823 square feet of space. WMU operates primarily in “Building E” on campus, which consists of two classrooms, a flight simulation system, and three offices. Additionally, WMU has access to all library resources, computer labs, student collaboration space, a science classroom (including a wet lab) and auditorium space. Licensed by the Commission for Independent Education, Florida Department of Education. Additional information regarding this institution may be obtained by contacting the Commission at 325 West Gaines Street, Suite 1414, Tallahassee, FL 323099-0400, toll-free telephone number (888) 224-6684. The following programs delivered in Florida consist of a blend of online and face-to-face instruction. Course instructional content will be delivered in an online format with a combination of online discussions, exercises, and collaboration. Face-to-face meetings will involve active and hands-on learning experiences as well as collaborative projects designed to reinforce mastery of intended learning outcomes. Online Education offers a variety of courses, degrees, and certificate programs entirely online that utilize contemporary, online learning technologies and methodologies. In addition to providing students with the latest learning technologies, EUP offers services including instructional design and course development support for instructors, technical support for students, and on-campus proctored testing. The university studies bachelor’s degree integrates a student’s prior coursework into a personalized degree, providing students with an opportunity to complete a bachelor’s degree from WMU in a manageable and straightforward fashion without the constraints of specialized curriculum. Either a Bachelor of Science or a Bachelor of Arts degree is awarded based on the topical areas applied. Professional Development is dedicated to providing an increased selection and availability of noncredit learning experiences designed with a client-centric approach for personal enrichment and career elevation. This unit offers training, preparatory programs and certificates for professionals seeking continuing education credentialing. Additionally, it provides and coordinates the approval of Western Michigan University Continuing Education Units (CEU) and State Continuing Education Clock Hours (SCECH) for the State of Michigan.